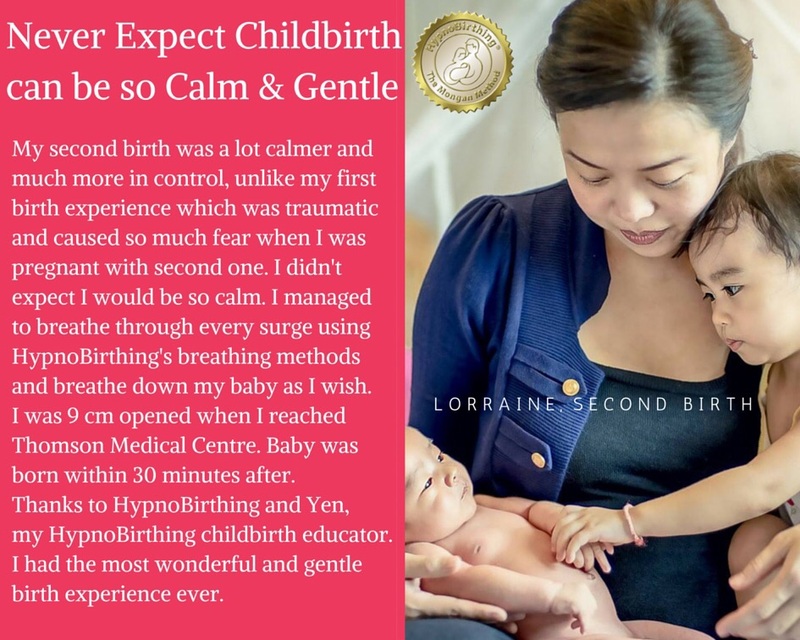 Lorraine and Yanto took HypnoBirthing class with Kong Choon Yen on 7 May 2014 to prepare for their second birth as her first birth experience was traumatic and that she had lots of fear during her second pregnancy as a result. She agreed to share her birth story with us online. She found the Surge Breathing useful while she was bouncing on the birth ball and enjoyed her surges/contraction. She utilised Birth Breathing to breathe her baby down and visualised baby moving down the birth path to crowning. She described her birth as “The Most Wonderful and Gentle Birth Experience Ever”. Baby Austin was born in August 2014. If you like her story, give her a Like on Facebook. June was induced twice in her previous labour of her second and third birth. 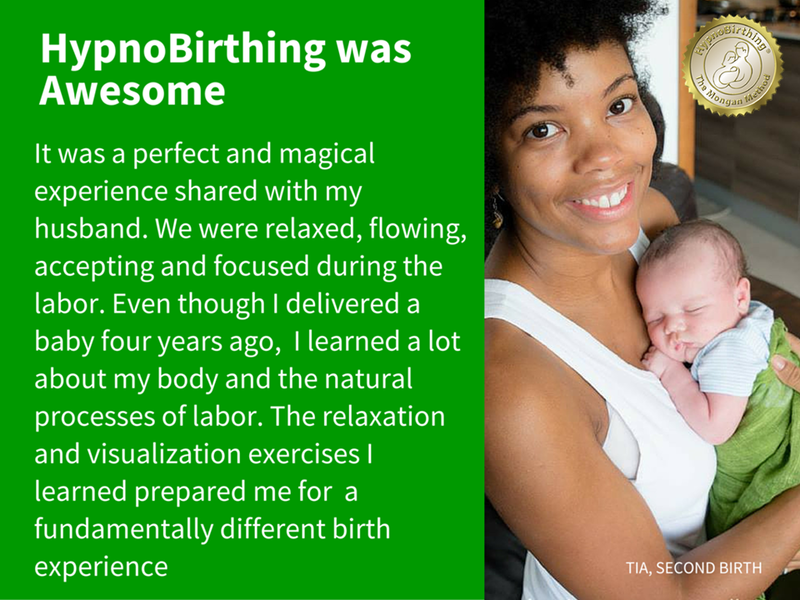 She craved for a better birth experience and decided to give HypnoBirthing a go. She took the course late in her pregnancy and had a shorter time to learn the deep relaxation HypnoBirthing techniques. The fourth time round, she achieved a total drug-free, more empowered and connected birth of her fourth baby. Can you feel her excitement? Give her a Like on Facebook if you like her story. 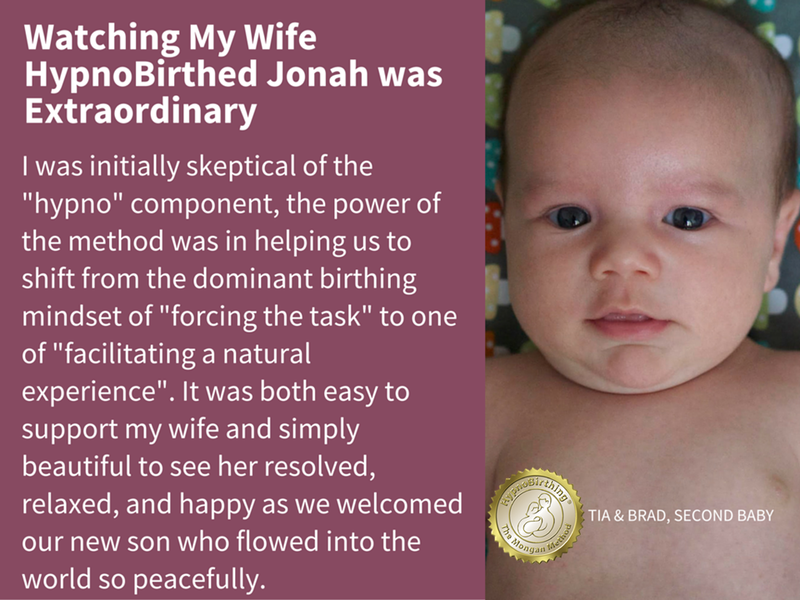 Brad and Tia took up HypnoBirthing childbirth preparation course for a better birth experience for their second child. During the labour, Brad guided Tia through a magical visualisation of a birthing journey like what Brad described it. We hope more daddies can share their birth story. If you support this HypnoBirth Dad, give him a Like on Facebook. Tia chose to use HypnoBirthing techniques to birth her second boy in 2015. 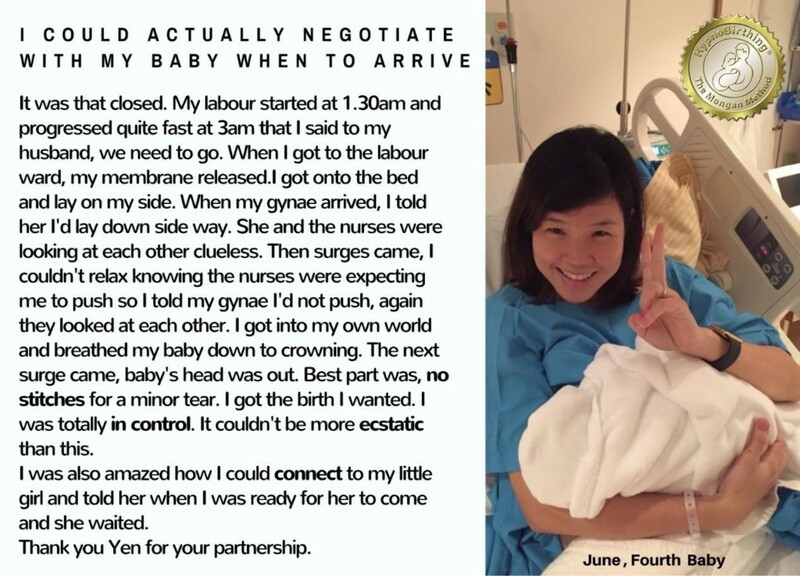 She shared with me this-“I am so thankful for the Hypnobirthing classes that my husband and I attended in Singapore. Even though I delivered a baby four years earlier, I learned a lot about my body and the natural processes of labor. The relaxation and mediation exercises I learned prepared me for a fundamentally different delivery experience. I felt patient and prepared, calm and confident, relaxed and focused. The Hypnobirthing prenatal class training helped me to trust and focus naturally on my body, and not the fearful, worrying way the medical system frames the birthing process. What a powerful experience!” If you like her story, please Like and Share on Facebook. Watch her speak about her second birth experience using HypnoBirthing techniques. Click the link here and give her a Like on Facebook. When Anna was in labour, she reached a phase where she had to decide whether to retreat or face her own fear. She remembered a powerful statement I shared on Facebook. She decided at the split second to face her fear using Affirmation to bring her focus back at the point where she lost focus. You can listen to her sharing her birth on video. If you like Anna’s story, Like it on Facebook. Juwon and her husband wanting a total natural birth for their second birth unlike her first birth where she was induced and had to succum to drugs. Unfortunately, she was again being induced. 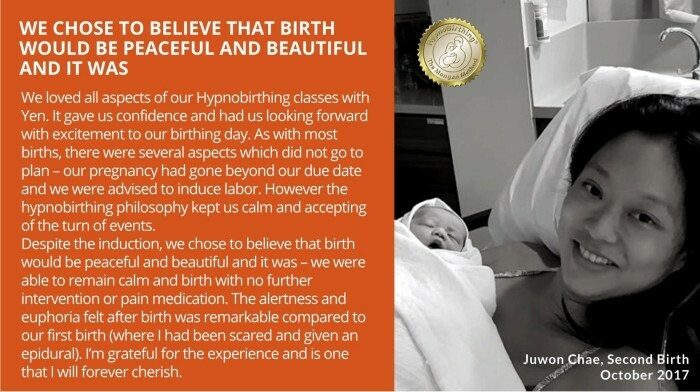 This time, she and her husband were fully prepared with the right mind set and practiced HypnoBirthing techniques during her labour, she successfully birthed her second baby without taking any pain relief medication. If you like Juwon’s satisfying birth, please Like and Share on Facebook.